Would you like to turn an ‘ordinary’ big idea into a mega Online Business that transform the lives people around the world and also make you a fortune? I know you do, who wouldn't want to? All the biggest brands in the world started with a common idea and they were turned into mega businesses. Take a look at all the tech giants, they were ‘just’ big ideas that people turned to big business. 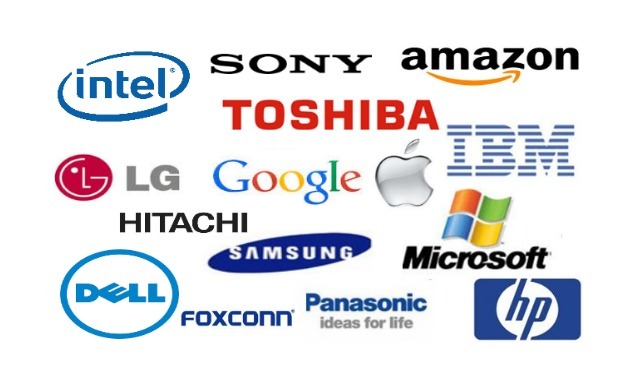 In the US, you have brands like Facebook, Microsoft, Amazon, Ebay, PayPal, Mint and may other big brands. And in Africa or Nigeria, you also have big brands like Jumia, Iroko, Jobberman and many others. All these brands starting from simple ideas and they were built because those ideas were turned to Online Business. So, lets not waste any time, lets dive in. To most people, discovering their big idea is the hardest part of the deal but it shouldn’t be so. Question #1: What problem have I overcome before? Lets face it, we all face a certain kind of challenge at one point of our life. For example, one of my client came to me and she wasn’t sure what Online Business to start, yet she wanted to do a business that will really touch the lives of people and she also wanted to make a fortune in the process. So, I asked her a simple question and here’s how our conversation went. She responded ‘Johnson, I have overcome so many challenges in my life’. I replied her ‘great, we have a business then’. As we continued talking, she told me that she had a failed marriage, and that it was actually her fault that the marriage failed. She’s remarried now but she’s also helping other people to have successful marriage. That is how a business was born. She’s not only making a difference in the world, she’s also make a lot of money. She’s has a profitable business that suits with her life style. The question now is, what challenge have you overcome in life? That is a big idea that can transform the lives of people. ​Let me tell you another real life case study. One of my students suffered stage 4 cancer and fortunately, he survived it. He didn’t do the usual chemotherapy. He used some vitamins and today if you see him, you will not believe he ever had cancer. When he got cured of it, it became his own story, his own big idea was born. He started sharing how he got cured of it and even other people started listening to him. He’s launch a business with his story, his touching lives and a fortune doing what he loves to do. Coming up with a big idea isn’t as hard as most people want us to believe, it is just seeing ordinary things and turning those things into a big idea and making a profit from it. If you noticed I said ‘just seeing’, right? There’s a difference between ‘see’ and ‘look’. Most people ‘Look’, they never ‘see’. Don’t be like that. ​Most people ‘Look’, they never ‘see’. Question #2: What Do I enjoy doing and can do effortlessly? If you can answer this question correctly, you’ll not only be Impacting lives and making a fortune, people will begin to pay you for what you would even love to do for free. Let me tell you something, the best Online Business anybody can do is a business that they enjoy doing, something that doesn’t seem like work. For me, I love marketing. Nothing makes me happy like helping a Online Business generate customers, make more sales and rapidly grow their revenue, it gives me joy. It gives me satisfaction whenever I see the happiness in the faces of my clients. For example, there’s this lady who runs one of the biggest restaurant and ​lounges in Portharcourt, Nigeria. She had invested over 20 million naira (about $55,000) into her business ​but the business wasn’t growing. She started owning her employees and she even went as far as suspecting her competitors. Ya, it was that bad. ​infact, the first we met, she was crying as she shared her story with me and i was so moved with compassion. I mean you could see someone who was totally frustrated and wanted a change but wasn’t sure what the next step will be. She had to travel from Portharcourt to Lagos just to see me. I tell people that no hospital is too far for the sick to go. If you are very good at what you do, people will look for you even if you are hiding in a hole. 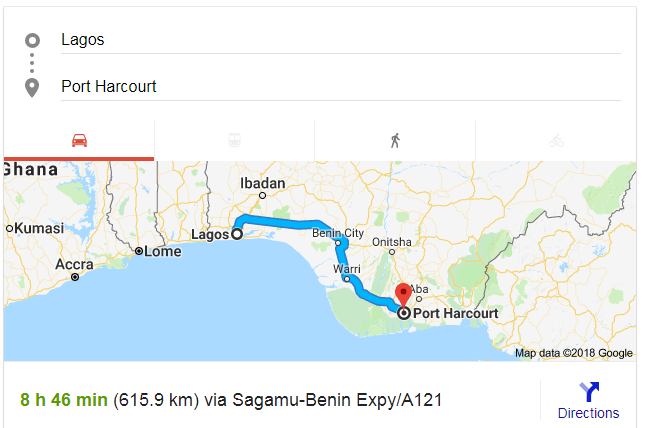 ​Portharcourt to Lagos is​ a distance of over 600 KM and if you were to drive, you’d spend 8hours, 46 minutes on the road. Not an easy thing but she wanted a solution to her problem. We spent 2DAYS together but before she even left Lagos, the marketing campaign I helped him set up started yielding fruits. Her phone started banging with calls from different people who wanted to do business with her. She started working with top cooperate establishments like banks, the British council and many others. She was so thrilled with what we did for her that she referred to me as a ‘magician’. She has moved from finding it difficult to get clients to finding it difficult to manage clients. Yes, that is the challenge she has now because she has more than enough clients. That is my own super power. 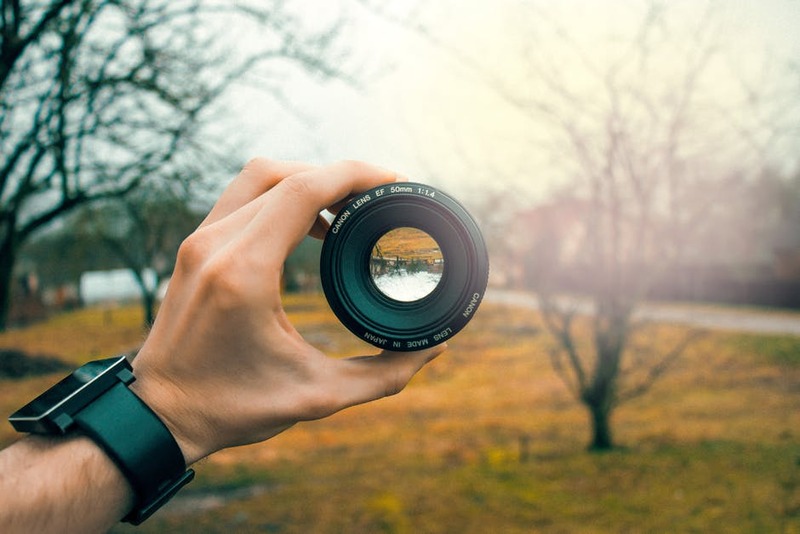 I can look at a business with my hands in my pocket and tell you what to do to help the business get more customers or grow their revenue and profit. That is what I enjoy doing, it is my own ‘magical powers’ but yours could be different. I just told you mine, what is yours? This is somehow tricky but I’ll explain it to you like this. I went to see a friend sometimes ago and on my way back, there’s this signboard that made me laugh heavily. ‘I am importer, exporter, general goods and merchandize’. I am sure that you have seen stuff like this where the owner of the business claims that he can do everything. What the Yoruba people will call ‘gbogbo ni she’, ​meaning, it can cure all ailments. Once you’ve discovered your big idea, you want to niche down. When I say niche down, I mean narrow down what you can do, don’t do everything. For example, if you discovered that you’re very passionate about relationship, don’t go saying you’re a relationship expert. Why not narrow down to either dating coach for men or women? That will make total sense, trust me. Instead of working for everybody, niche it down so that you want with only a target few. Once you do that, you’ll not only get the perfect customers who need your help, you’ll also attract people who have the money to pay you, and they will value you and pay you high fees. Most ​people get this wrong but I always tell them that the best way to make more impact and money is by saying ‘NO’ to 95% of people who are not a fit for what you do. The more you say ‘NO’ to the ​wrong people, the more the right people will discover you and be attracted to you. ​The more you say ‘NO’ to the ​wrong #people, the more the right people will discover you and be attracted to you. Think about it this way, why do you think surgeons earn more respect and money than the general medical practitioner? He’s seen as a specialist, people love specialists. Be the 'specialized surgeon' in your own field and people will value you and pay you high fees. I’m a marketing specialist, I work with only a select few of people who I help get massive result that results in the growth of their revenue, profit and business. Currently, we turn down 47% of people who apply to work with us. So, narrow down what you want to do. Let me tell you a story of someone that will drive home this point. Sarah Jones is a relationship coach for men. She helps guys attract beautiful women into their lives. ​She’s been able to build not only a successful business but she’s made a lot of impact. She makes over $240,000 per year as at 2015, and this is 2018. 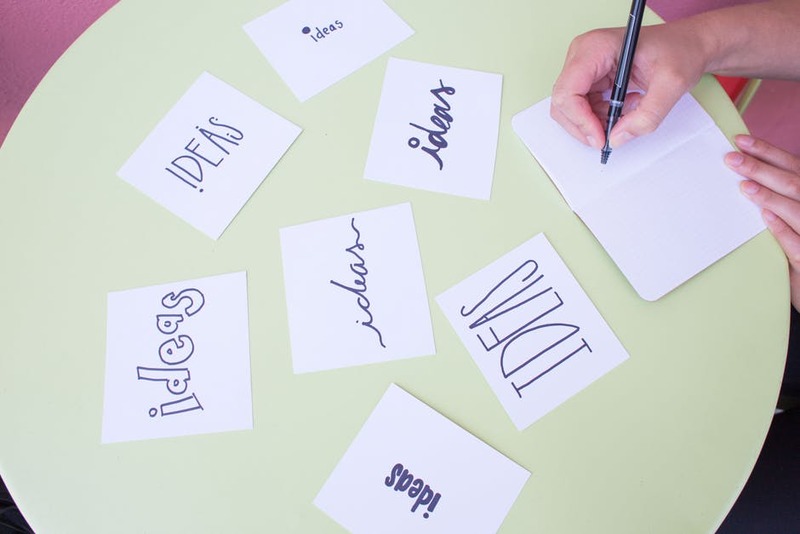 Are You Ready To Turn your Big Idea Into a Mega business? Click Here to find out how. I can bet that she wouldn’t have been able to make that much if not because she narrowed down her business. So, be a specialist, never be a generalist. Now, you have done step 1 and 2, what next? You need to package that big idea in a way that people will value it and beg to pay for it. The difference between how much someone paying you $10 and another person paying you $1,000 is directly connected to how your package your big idea. Most people get this wrong and it is one of the biggest problems they face. If you package wrongly, you’ll pay for it because people will price you low. These isn’t just all yet. Once you’ve package your big idea, you still need to know how to make people value it. Most times, when we get working together, I help them repackage the same product and stamp a price higher price on it. Usually, between 150,000 to 2 Million naira and yet they get more clients when they raise their prices. I often tell people, before you price your product, first tell me how much you want to make. If you’re like me, you’ll careless about the money but you also need the money to be in business so that you can help more people. I like to start by first defining the income goal. ​So, if your income goal is 2 million naira in 6 months, here’s what I will do. If I am selling a coaching program, I’ll price it at 100,000 and I will just look for 20 clients to hit my income goal. That is 3 clients per month or about 1 client per week. For anybody to happily pay you ​high fees, you need to be able to package your product or service very well or else, no one will pay you. Most people tell me that they’re just getting started and can’t charge high fees because they think people will not pay them or they’re just getting started. That’s not true at all, it’s a misplaced fear. Let say you can help someone solve a serious marital crisis, how much do you think you should be paid? Here’s a man and a woman who want to part ways and you know the negative effort that will have on their lives, and as marriage counselor, you can help them stay together. How much do you think you should be paid? For people to see it as ‘priceless’ and pay you any fees you want, you’ve got to be able to package your big idea in such way that people will value it. Once you’ve done the three steps, the next step is the most important because without it, people will not pay you. I have seen broke motivational speakers, bloggers, authors, speakers, pastors and even business people. Why are people with brilliant talent broke? Skill and expertise are not enough. You need to have a marketing system that will attract clients to your Online Business on a consistent, predictable basis. No matter how great your ‘big idea’ is, if you cant market it so that people who need it will come to you, you’re going to be broke, and I mean very, very broke. I’m known as the most sought-after business growth and marketing strategist, I have worked with some of the top Online Business in the world, so I can tell you for free that if you want to make progress, you need to have an effective (and) attractive marketing system. You see, you should never chase clients, create a marketing system that will make clients come to you instead of you chasing them. Just imagine a medical doctor come to your estate and screams ‘I am Dr. XYZ, I am looking for a patient to treat’. I’m sure that you’ll not trust your life in the hands of that kind of a doctor. It’s the same thing, never hawk your talent, create a simple marketing system that will make people beg to pay you. All your marketing system should be automated so that people can buy your product and service even if you’re sleeping. Your product and service should be able to sell ​itself with limited efforts from your end and the way you do that is by creating an automated machine. Let say you want to go a city you’ve never been, what is the best thing to do. #1: Go to Google and find help? #2: Just get on the road yourself and somehow, you may be lucky? #3: To get someone who’s been there before, right? Of course, you would want to pick #3, right? To successful turn your passion and skill into a business, you need to be able to get someone who will help you. When you do that, you’ll avoid the ‘trial and errors’ that keeps many people at a spot for many years. Once you get the help of a mentor or a coach, it helps you avoid costly mistakes that would eat up your time and money. We’ve seen people who prefer to figure things out themselves, they waste months and years without ever making any progress, you shouldn’t do that. 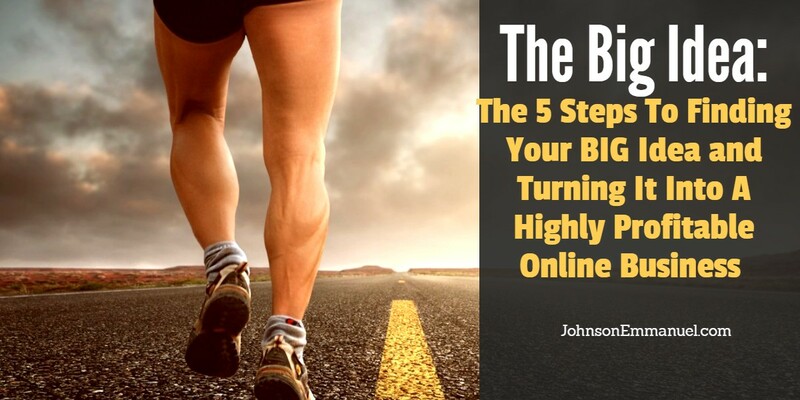 Turning your big idea into a highly profitable online business is a very everything to do once you follow all the steps I just showed you. You’ll make a lot of money, you will build a mega business but the most important thing is that you’ll be able to transform peoples’ lives. The world needs your idea, people are waiting for your big idea. 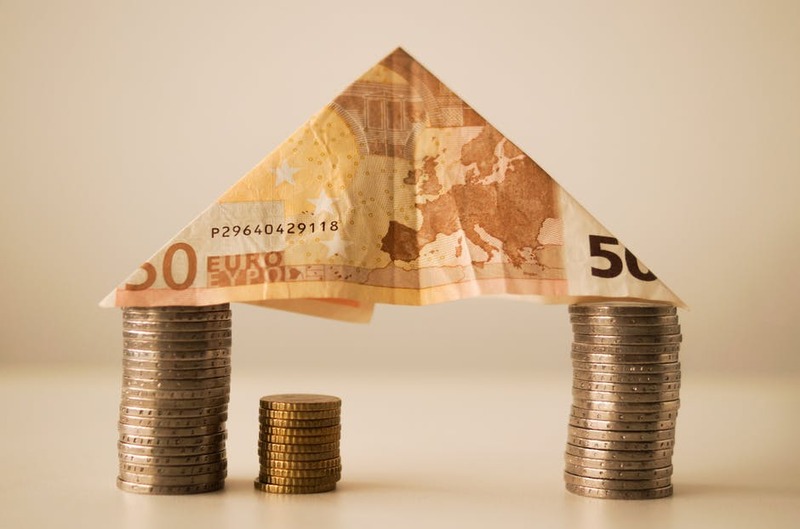 ​​Do You Want To Turn Your Big Idea Into a Highly Profitable Business? ​If you're currently in paid employment and want to sack your boss or if you want to turn your big idea, talent or skill into a mega business, I'll willing to help 5 people ONLY. What is holding you back to change the world? I’m curious, what is that your big idea that you want to use to change the world, make a fortune and business a mega business? Drop your comments and questions below, I’ll rely every single one of them.